Used 2016 Fiat 500x Trekking Plus for Sale in Indiana PA 15701 AutoSport Co. Offered for sale is a Clean Carfax/2 Owner 2016 Fiat 500X Trekking Plus Edition loaded up with features with only 49k miles and brand new tires!! 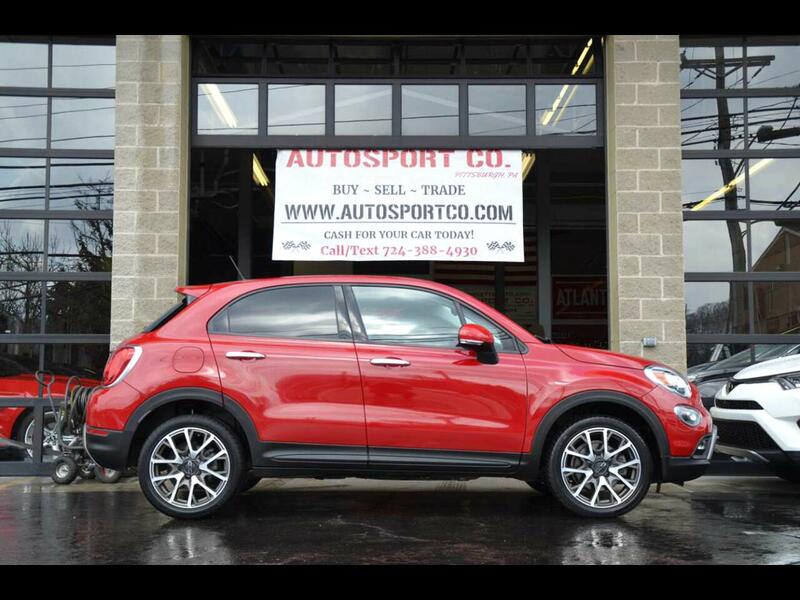 This Fiat 500X runs and drives out flawlessly and maintains great fuel mileage while doing so. The red exterior of this Fiat is in great condition with very minimal wear present, likewise the wheels show very well and have just been fitted with a new set of tires! Throughout the smoke free, tan and black leather interior very minimal wear is present, the dash and console area as well as the carpeting all show excellent. This 2016 Fiat 500X Trekking Plus Edition is loaded up with features such as: Clean Carfax, 2.4L 4-Cylinder Engine, Front Wheel Drive, Heated Leather Seats, Heated Steering Wheel, Backup Camera, Brand New Tires, Factory Navigation, Premium Wheels, AM/FM/AUX/Media Player, Bluetooth System, Cruise Control, Original Owners Manuals, 2 Sets of Keys, Remote Start, Current PA Inspections, and much more!! For more information on this 2016 Fiat 500X Trekking Plus Edition with only 49k miles feel free to call/text Anthony at 724-388-4930. This car is located at our Pittsburgh location, we accept trades and can help with financing options.